DeepFlight announced at the Monaco Yacht Show that it has partnered with Shanghai-based Rainbowfish Ocean Technology to open the oceans for underwater tourism. DeepFlight Adventures will offer submarine experiences at resorts and other locations around the world starting in 2017. 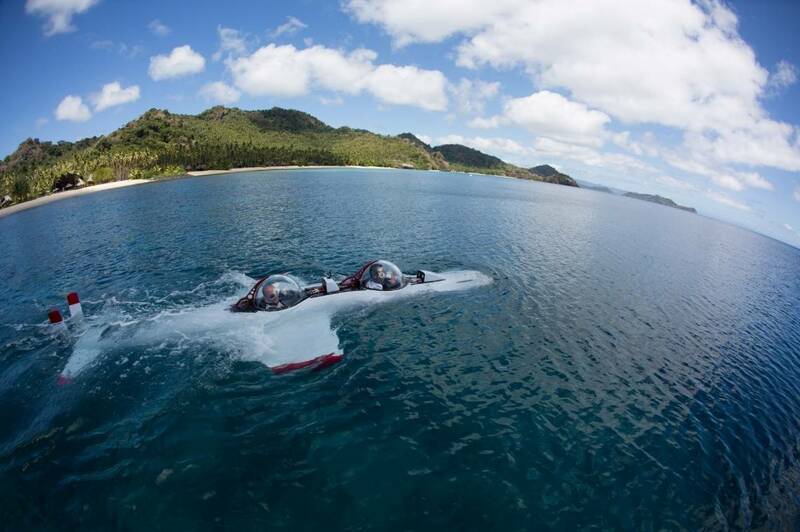 DeepFlight also introduced its newest submarine, DeepFlight Super Falcon 3S, at the Monaco Yacht Show. The DeepFlight Super Falcon 3S was designed to enable people to experience underwater flight and view amazing sealife from resorts, yachts, and other seaside locations. The Super Falcon 3S adds a third cockpit to its flagship vehicle so that a pilot can take two passengers on underwater flights to 400ft (120m). The submarine will have Lloyds Register classification and be U.S. Coast Guard certified. In the Super Falcon 3S, passengers sit comfortably in individual cockpits. The polished acrylic viewing domes afford almost 360-degree visibility. The pressure hull is a proprietary, composite material that has been tested and proven to withstand the pressure of the ocean. Independent oxygen systems utilize conventional O2 makeup and CO2 scrubbers, providing 72 hours of life support. Like all DeepFlight submarines, the all-electric, zero pollution Super Falcon 3S is positively buoyant, meaning the craft automatically floats back to the surface.